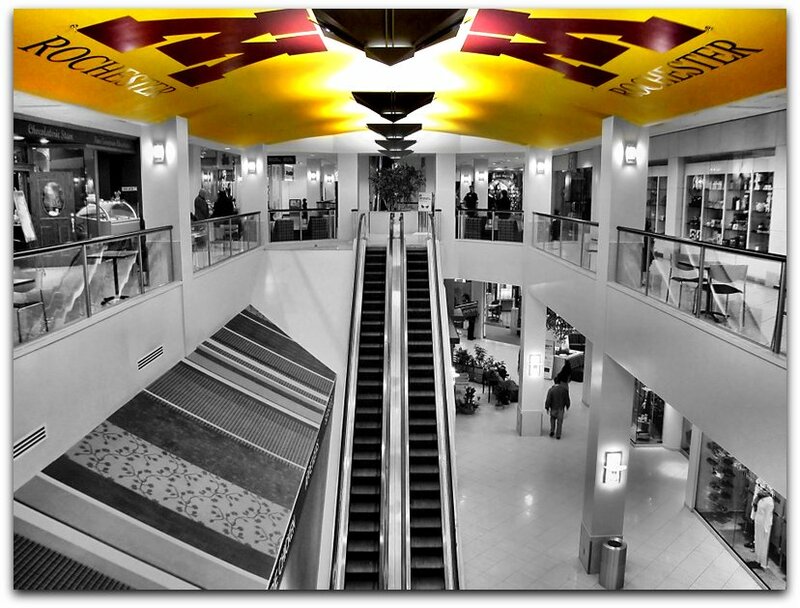 The photographer says: What was once the Centerplace Galleria in downtown Rochester, MN is now The Shops at University Square. The two top floors are now home to The University of Minnesota Rochester (UMR). Sadly, I remember seeing more than a few movies when a theatre still occupied some of the Galleria's space on Broadway. I knew it had ended its retail run but kudos to the University for occupying existing space. From the sterile b/w to the maroon and gold at the top - great vision. Yes sir!